It’s no wonder ham is one of the most popular of all deli meats. Rich, sweet and savory, it blends beautifully with so many different flavor profiles. And its flexibility is unmatched. Do you know how easy it is to incorporate into more than just your lunchtime sandwich? To help get those creative juices flowing, we’ve got five distinct recipes for five different times of day so you can explore all of its delicious flavors from morning to night. For breakfast, Eggs Benedict is one of those classics that never fails us. 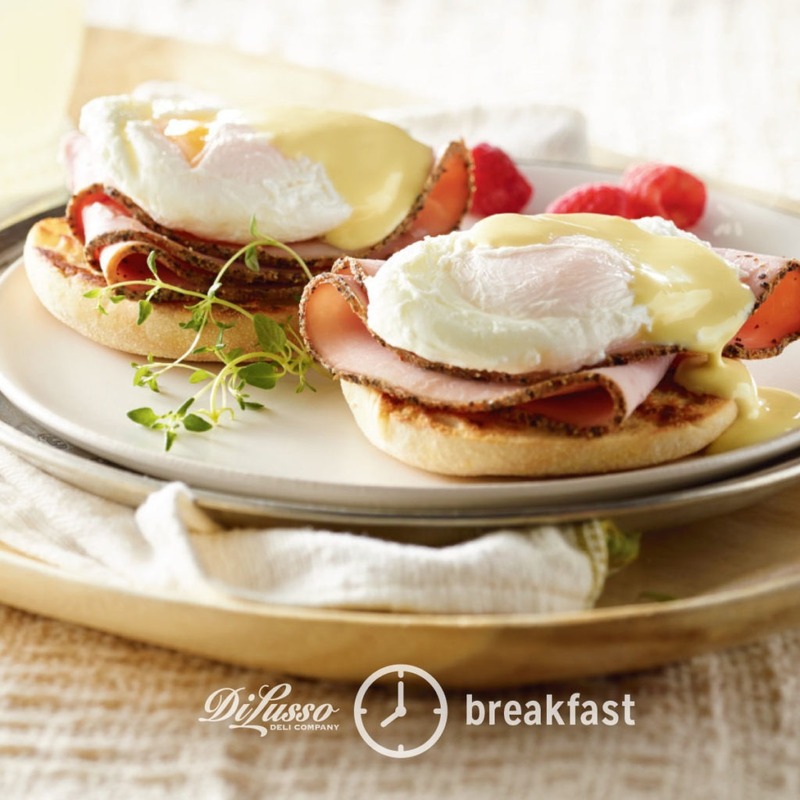 The flavor and texture of the poached eggs and hollandaise is such a lovely contrast to the rich and savory ham. 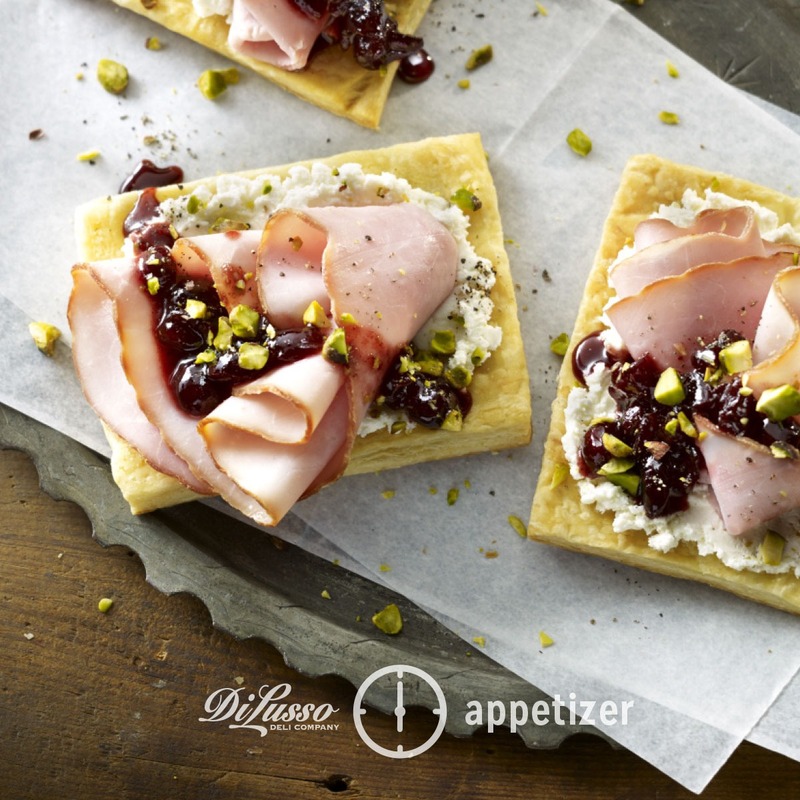 Though shown with DI LUSSO® Smoked Cracked Pepper Ham, any of our 10 varieties - from Black Forest to Honey Maple - would be delicious. For lunchtime, try something beyond the cold sandwich. Our Grilled Ham and Havarti Sandwich is like the holy grail of ham & cheese. If you’ve ever grilled with Havarti cheese, you know what we’re talking about. Ultra creamy and melts like a dream. 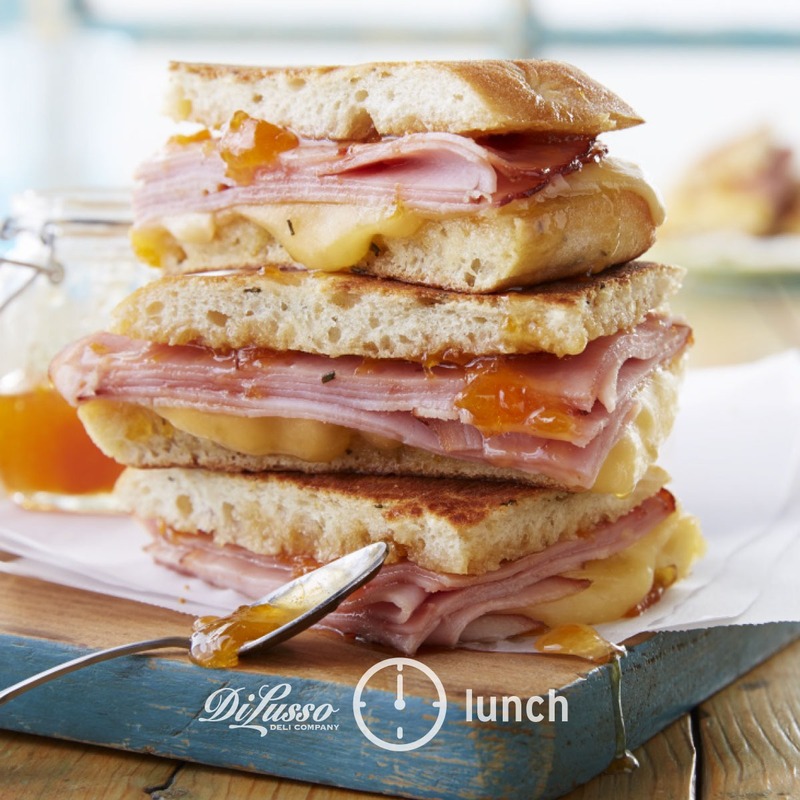 It’s layered with DI LUSSO® Smoked Ham between rosemary focaccia. And if that’s not enough to have you reaching for the griddle, the drizzled apricot jam and honey surely will. Packed with protein, ham is great for casual snacking. Pear, Ham and Provolone Crostinis are sweet, savory and will easily tide you over between meals. 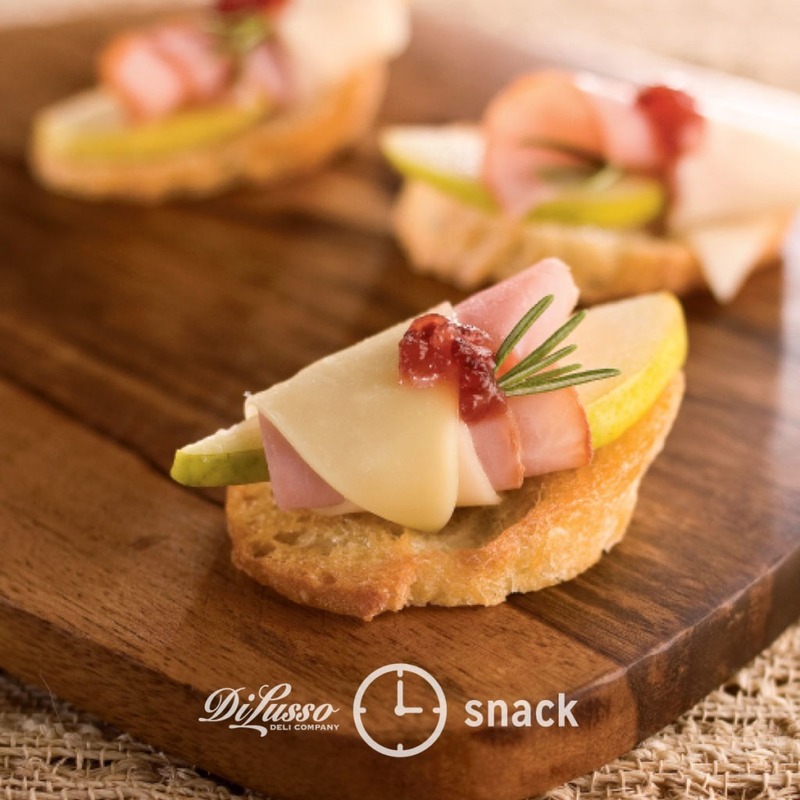 Wrap a piece of DI LUSSO® Virginia Ham and Provolone around a slice of fresh pear and place it on a toasted baguette spread with a little sour cream and brown sugar. We’re always on the lookout for unique appetizers to serve when gathering with friends for an after-work happy hour or during a relaxed weekend. Ham, Goat Cheese, Cranberry Pastries are melt-in-your-mouth delicious and display beautifully on a serving plate. Each ingredient adds a special dimension, flavor and texture. As impressive as they look, they’re incredibly simple to put together. Just 20 minutes to prep before baking. For dinner, try a twist on a classic. Like folding a slice or two into something you may not have considered before. 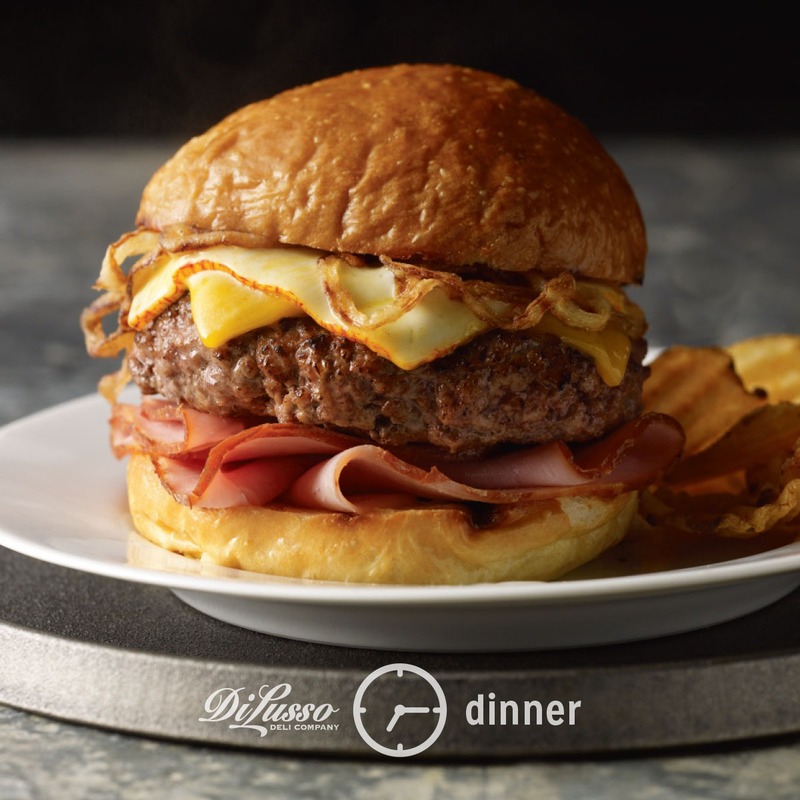 We’ve dressed up the All-American Cheeseburger with a few slices of DI LUSSO® Double Smoked Ham. This adds a savory salty twist to the burger, putting it a step above the standard. Some of the most delicious ways to enjoy ham are often the most unexpected.